The 52 hour strike by tube drivers on the Piccadilly line which was due to begin this evening has been suspended. 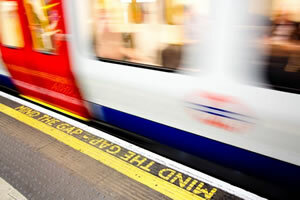 The good news was announced on at 2.30pm this afternoon on the Piccadilly Line's twitter account @piccadillyline, saying: "Hi all, you’ll be glad to hear that the proposed Piccadilly line strike from Wednesday 11 to Saturday 14 July has been called off and services will run as normal. " Earlier, TfL said that last minutes talks with the RMT union at conciliation service Acas were continuing. RMT General Secretary Mick Cash said, “Each of the areas at the heart of this dispute have now been addressed in a way that has been sufficient to allow the union to suspend the action scheduled to start at 9pm this evening. "The dispute remains on as we monitor all of the changes and improvements and specifically the guarantees to improve train operators working lives. The planned action would have coincided with Donald Trump's arrival in the UK on 13 July, though most of his stay will take place outside London where protests are planned, including the flying of an 'angry baby' balloon over the Houses of Parliament.